Hello there! We are long overdue for a Friday Favorites post here and I have some fun protein snacks, juices, and a fitness giveaway to share with you. But first, happy official start to Summer! Any fun plans for the weekend? This was our first week off school for Summer break and I’m not sure who enjoys the time off more, the teachers or the kids, hehe. But since I’ll have more time at home be sure to check back here more frequently for blog updates as I’ll hope to post 2-3 times each week. And you can always see what I’m up to over on Instagram. I used to eat Quest bars daily as mid-morning or afternoon snacks, but I honestly got sick of the taste and haven’t had one in awhile. But I was recently sent some of their Birthday Cake Protein Bars to try and they are definitely my new favorite! The flavor tastes completely different than regular Quest bars. And while I still feel the ingredients list is so-so, I love that these are a great combination of protein, healthy fats, and carbs if you’re eating on the go. And seriously, who can resist anything with sprinkles?!? Garden of Flavor recently sent me a variety of their cold-pressed juices and energy juices to try. I’m usually not huge into drinking juices as a meal or ‘detox’, but I’ve been sipping on these in the morning or as a snack. Especially in the Summer months they can be very refreshing. Garden of Flavor juices are cold-pressed, organic, never heated, and made from fresh vegetables, fruits, and nuts. They have a variety of juices that contain vitamins, minerals, and enzymes. My favorite Garden of Flavor juices though were the Cold-Pressed Energy drinks. 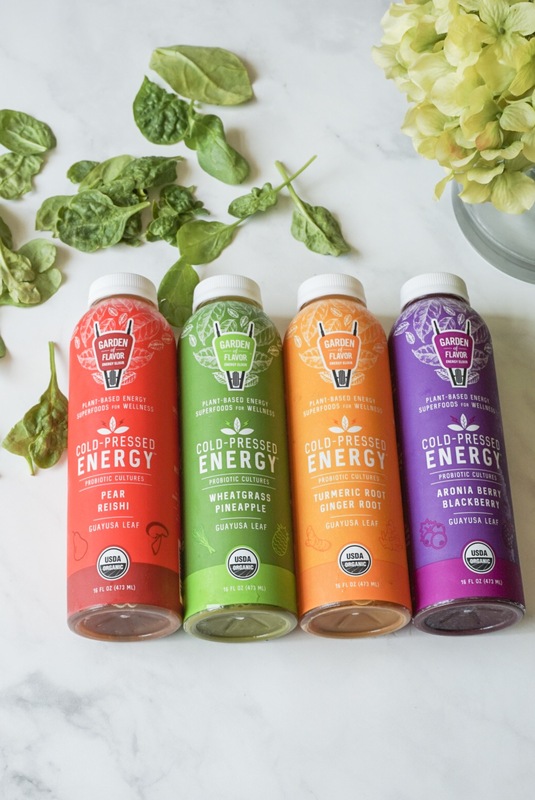 They use quality ingredients such as Guayusa, Wheatgrass, Aronia, Turmeric & Ginger, and Reishi & Pear to provide natural sources of energy, yea I had no idea what half of those were either until I read about them here. I honestly can’t choose a favorite flavor, I’ve enjoyed them all! 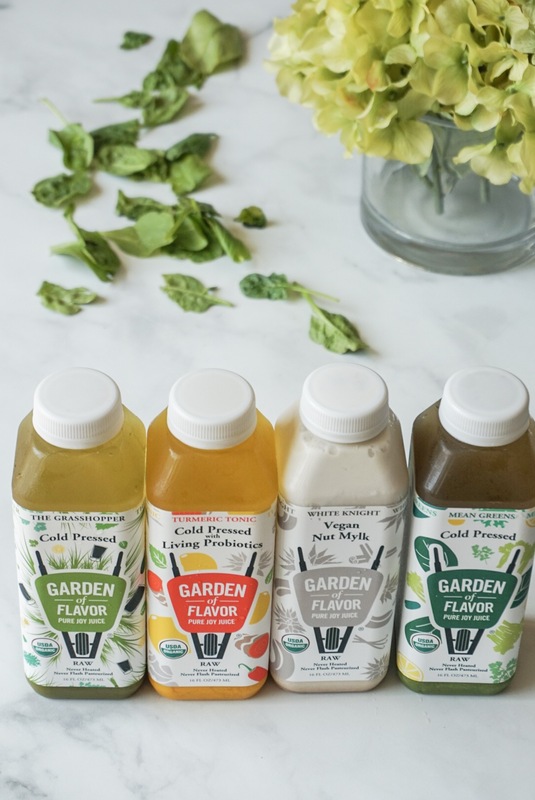 Garden of Flavor is based out of Cleveland but their juices can be found all across the US, find a store near you here. How does a free one year membership to any gym of your choice sound?!? Amazing right! While I love gyms and fitness studios, they definitely come with a hefty price tag. FITT, your guide to health and wellness in over 25 cities is giving away just that. To enter simply subscribe to their newsletter in your city, you can enter here. And even if you’re not chosen they’re also giving away gift cards to Whole Foods and Lululemon, which I think is just as great 😉 Today is the last day to enter, Good Luck! I can’t tell you how many times I’ve looked at a meal replacement shake ingredients and been shocked by the number of additives, preservatives, and/or items I can’t pronounce. Well that’s not the case with Nutberg. 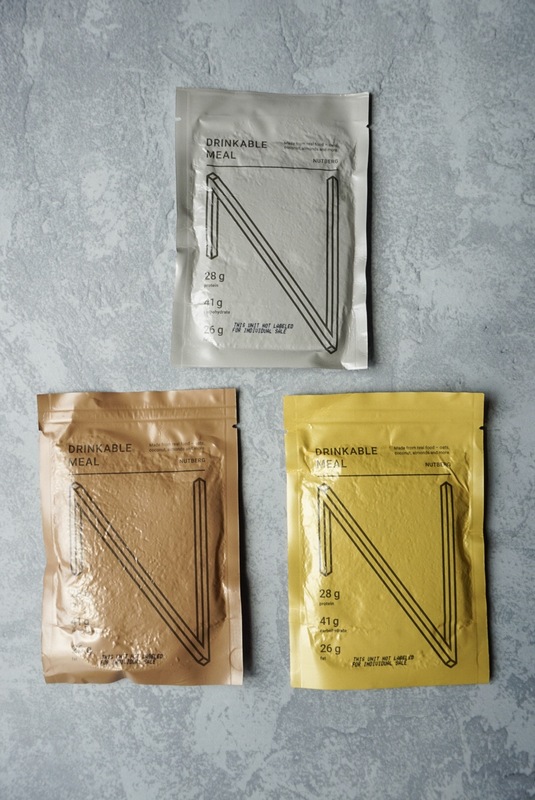 Their drinkable meals are a mix of whole food ingredients that act as a meal for when you’re on the go. They are meant to keep you full for 2-3 hours and come in three different flavors, Classic, Cocoa, and Banana. Typically I’m a fan of making my morning smoothies, but I took a few days off to try each flavor of Nutberg. The taste was just ok for me, but it definitely kept me full until mid-morning/lunch time. Overall I think Nutberg is great for use when traveling or on the go and you want a quality meal replacement. Now that I’m officially on break I fully plan to enjoy making lunches at home or going out at least once a week for a treat. I can never eat out during the school year unless I had something delivered, but that’s just not worth it to me. I’d rather have a sit down lunch date experience and I got exactly that this week as I visited my sister in DC at work and we had a nice long lunch at Chopt. I had the NY Street Cart Salad and took home a Kabob Cobb for Tom. Literally I could eat a giant salad like this everyday and never get sick of them. Did you read my Summer Bucket List? Tell me one thing you want to do this Summer, I’m always looking for new ideas. 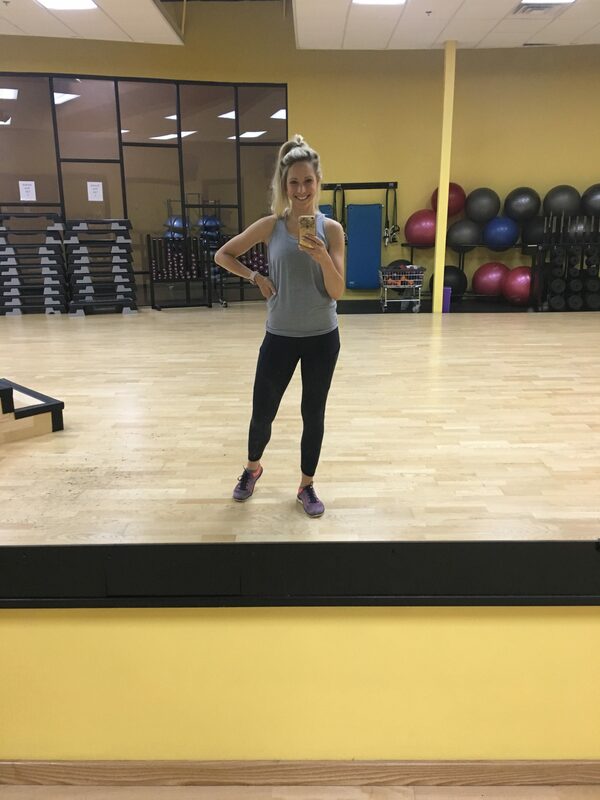 And I’ve been keeping the tradition for eight weeks now of sharing my workouts and meals, you can read the latest Food and Fitness Week in Review Here. This time last year I posted my Cherry Pie Smoothie, it’s my dad’s favorite and I can’t wait to make it all Summer long. That’ll do it for me today. I hope you have a great first weekend of Summer! 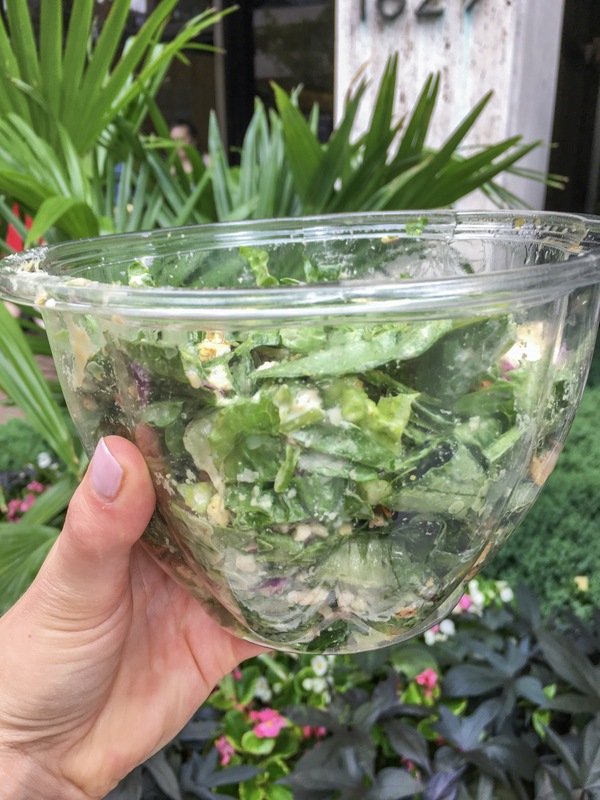 What’s your favorite on the go meal or snack? i love anything that is birthday cake flavored! I’ve been wanting to try the new GU but can’t find it at my local running store! PS i just followed you on IG. I can’t believe I wasn’t already following you! Haha, thanks for the follow! 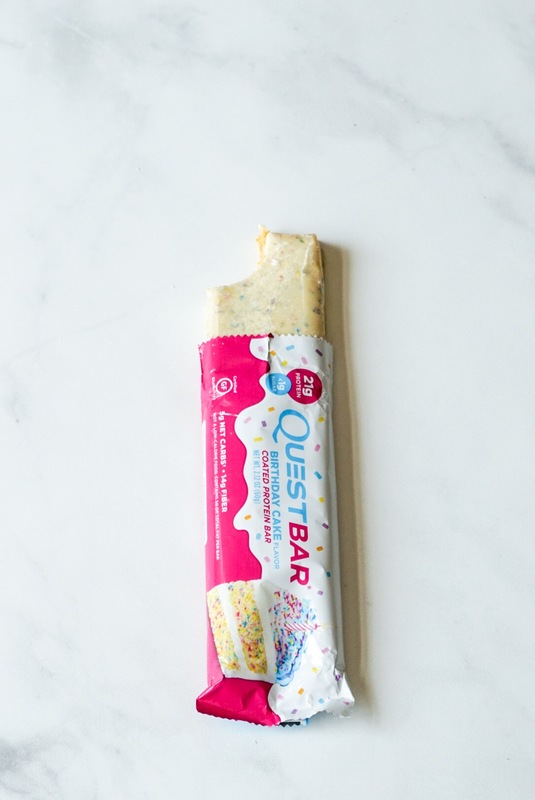 And you must try the birthday cake quest bar and let me know what you think! Let me know if you give any of the a try! I so wish I had a Chopt closer because I would totally eat there more often! Hope you had a great weekend!